BCDB Rating: "I Love Lisa" has not yet received enough votes to be rated. This page has been viewed 22 times this month, and 1404 times total. Cartoon Characters: Bart Simpson, Homer Simpson, Marge Simpson, Lisa Simpson, Maggie Simpson, Grampa Simpson, Barney Gumble, Krusty the Klown, Groundskeeper Willie, Mayor Quimby, Hans Moleman, Sideshow Mel, Patty Bouvier, Selma Bouvier, Nelson Muntz, Todd Flanders, Ralph Wiggum, Kearney, Moe Szyslak, Chief Wiggum, Apu, Comic Book Guy, Cletus, Professor Frink, Montgomery Burns, Waylon Smithers, Ned Flanders, Kent Brockman, Reverend Lovejoy, Principal Skinner, Dr. Hibbert, Rainer Wolfcastle, Rex, Lunchlady Doris, Milhouse van Houten, Miss Hoover. Editor: Marc McJimsey, Don Barrozo, Lee Harting, Kurtis Kunsak. 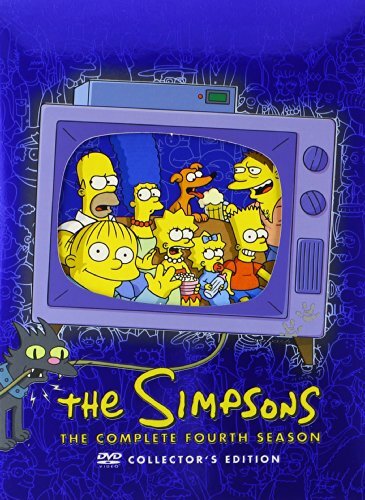 First Aired on February 11, 1993. Lisa's valentine to the most disliked boy in her class causes her to be chased by him. You can watch this episode today on your computer. Just click below to start viewing "I Love Lisa" online now. Do you have anything to add to this page? Have we made any mistakes... or do you have any additional information about I Love Lisa? If so, we would love to hear from you. Please send us a quick note with your additions or corrections to this page, and we will make the corrections as soon as possible! Do you love I Love Lisa, or do you think it is the worst cartoon ever? Let us know what you think! Surely you have an opinion... so share what you think. Take a minute and post your own comments about this cartoon here. I Love Lisa by Big Cartoon DataBase is licensed under a Creative Commons Attribution-NonCommercial-ShareAlike 4.0 International License.